Nigeria's Oriental Brothers International were established in 1971-72 by Owerri innkeeper Chief James Azubuike, who needed a house band for his establishment, the Easy Going Hotel. To this end he recruited Godwin Kabaka Opara and Ferdinand Dan Satch Emeka Opara (no relation) of Owerri and Christogonous Ezebuiro Obinna ("Warrior") of Abor Mbaise. These three were soon joined by Nathaniel Ejiogu ("Mangala"), Lyvinus Alaraibe ("Akwilla"), and Prince Ichita, all freelance musicians in and around Owerri and Aba. Mangala died shortly after the founding of the band. 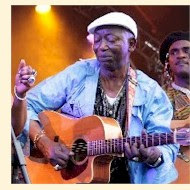 Although the Orientals in the early years were ostensibly "led by Godwin Kabaka Opara," Kabaka (above) walked out in 1977 to found the Kabaka International Guitar Band. The main reason was apparently a leadership struggle with Dan Satch, but there were probably artistic differences as well. Kabaka wanted to move the band toward the faster-paced Ikwokilikwo style then being made popular by the Ikenga Super Stars of Africa and Oliver de Coque, which Dan Satch and Warrior resisted. 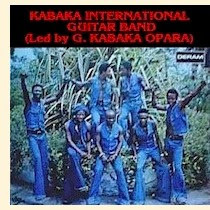 On the Kabaka Guitar Band's first recordings, its style is described on the label as Ikwokilikwo Kabaka. Kabaka was joined by no one when he left the Oriental Brothers, but he was able to draw on a large pool of free-lance musicians in Owerri to assemble a first-rate guitar band. 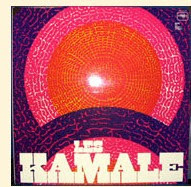 The group's first LP, titled Mangala Special (Deram DLPS 004, 1977, right) in honor of the late musician, caused an immediate sensation, and the group has enjoyed many years of success in Nigeria. In recent years Kabaka and Dan Satch, the two surviving founders of the Orientals, seem to have reconciled and have made videos together under the Orientals banner. "Izu Kanma na Nneji" more or less means "It's easier to agree with someone when you share the same mother." This phrase takes on added meaning in the context of the African practice of polygamy. Polygamous families often divide into factions based on the offspring of various mothers. "Chukwu Kere Mmadu" means "God Who Created People": "God ('Chukwu,' literally 'Great Spirit') created everybody and he created rich and poor, but death ('onwu') intrudes. Death doesn't discriminate, death has no friends. Kabaka, my brother, let it go." This apparently alludes to a tragedy that had recently befallen Kabaka or someone in his family. The title of this song means "God, Drive Away the Devil": "God ('Chineke') is the 'king' ('eze') of heaven, and his wrapper ('ogudo') drags on the ground. Everything in the world is his creation. Please, God, use your powerful hand to protect us ('tukwasa anyi na ishi,' literally 'cover our heads'). God, forgive all of our sins." "Mangala Special" is a tribute to Nathaniel Ejiogu, a founding member of the Oriental Brothers who died shortly after the founding of the group ('Mangala,' his nickname, literally means a type of dried fish! ): "One doesn't know what someone else is looking for in life. Send a message home to Imo State that Mangala died a tragic death. He will no longer enjoy his cigarettes. He will not get married." The refrain "Mangala Sarawa" is hard to decipher. "Sarawa" is not an Igbo word. Possibly it is Hausa. Is this a slang expression? One irritating feature of Igbo records produced in Lagos and outside of Nigeria is that the song titles often contain mis-spellings that change their meaning or render them unintelligible. Mangala Special features several incorrect spellings of this type. This song was entitled "Ichere Chi Amaghi Onye Iwu," which means "do you think the Creator doesn't know who you really are?" The title actually should be "Ichere Shi Amaghi Onye Iwu," meaning "do you think I don't know who you really are?" The lead singer here calls out to various individuals with this phrase. Presumably it is meant as a compliment, but maybe it isn't. "Ajam Ashi-Mi" is an undecipherable phrase, possibly a regionalism. The lyrics themselves are hard to figure out. They literally seem to say, "Instead of telling me the truth, you told me you were going to park your car." But the song has a good beat! Thanks once again to my wife Priscilla for interpreting the lyrics. Thanks also to Vitus Johnson Laurence, who provided much of the background information on Kabaka and the Orientals. As you would expect this time of year, things have been super hectic around here, and I just haven't had time to post. There's not a lot of African Christmas music out there, but I did manage to dig up a couple of tunes for your holiday enjoyment. Our first selection is by Kenya's Kilimambogo Brothers Band, "Shangilia Christmas Pts. 1 & 2," (Les Klimambogo LES 22). The second is side 1 of Ebenezer Obey's (left) 1972 LP Odun Keresimesi (Decca WAPS 62), also known as A Christmas Special From the King of Juju. I'll try to get in another post in the next couple of days (I've got a couple in the hopper; I'm just working on the finishing touches), but if I don't: Merry Christmas, Happy Holidays, a festive Kwaanzaa, whatever! Update: I just found out that Eid Al-Adha begins Thursday, December 20 this year. My very best wishes to all of our Muslim friends, and I apologize for overlooking this earlier. I wrote in my first posting that through Likembe I sought to educate but also hoped to be educated. The response to the post Somali Mystery Funk has certainly borne out that expectation - in fact it's yielded an embarrassment of riches. Our friend Sanaag, who so kindly provided information on the songs in that posting, has answered a number of questions I posed to him, which provide essential background on Somali music. I specifically asked about Sahra Dawo (above), who sang lead on two of those tracks by Iftin, and the group Durdur, which she fronted. I'm just going to let Sanaag speak for himself. This is the first of several postings. Sahra Dawo was a pop star in the 80's and probably up 'til now. As the lead singer of Durdur, she was very popular with the younger generations, specially teenagers and twentysomethings, including me at the time. I am not sure how she did with the general public. As far as I know, she didn't strike a strong chord with the older audience probably because of the obvious dissonance between her lyrics (often emotional) and music (usually joyful with sometimes an over-the-top acts in live performances). Durdur (rivulet, creek, streamlet...) was simultaneously Iftin's little cousin and rival; they started their career in the late '70s or early '80s and were quite influneced by Iftin which was founded about a decade earlier, I think around 1970. I vaguely remember that some of Durdur's musicians had learnt their craft as trainees with/friends of Iftin. For most Somalis, the lyrics are at the very least as important as the music. 'The Nation of Poets' is one of Somalia's nicknames; hence the wild popularity of poetry cassettes you referred to in your post. Moreover, art was one of the major channels - if not the major channel - to ventilate dissidence during the [Siad Barre] dictatorship. Even when love was the subject matter, as was often the case in lyrics, the socio-political message was up for grabs beneath the surface. Iftin's (forced?) marriage with the authorities was probably the culprit for their political and poetic castration. I don't know why Durdur acted like an ostrich; as far as I know they were not sponsored by the Government. I rescued this recording from the "bulk" pile at WYMS-FM many, many years ago. 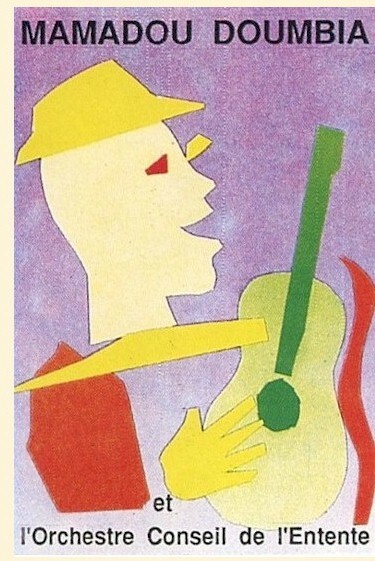 It was made as part of the "American Jazz Radio Festival" program. Unfortunately I have no recording information - not even a set list. I presume it was recorded around mid-1985. "Date Recorded" on the tape box is 10/12/85, but that's probably the date it was recorded from the satellite feed. I've never been particularly "into" Abdullah Ibrahim, but I know many people are, so I hope they'll enjoy (I compressed the file at 320 kbps rather than my usual 192 for the audiophiles). 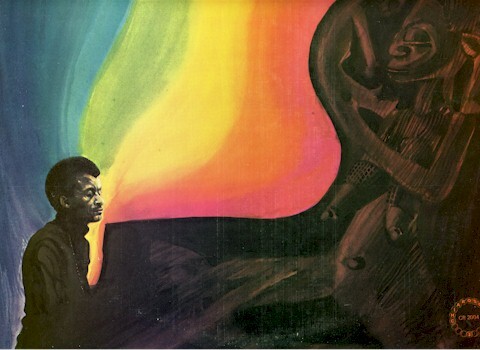 Coincidentally, Matt over at Matsuli Music has posted for a limited time another Abdullah Ibrahim album here. Get it while it's hot! I'll never forget the first time I heard Ethiopian music. I was in a restaurant called The Blue Nile in Tribeca around 1982 or '83, long since closed although I believe there is now another restaurant by that name in Manhattan. There was a scratchy, much-dubbed cassette playing on the sound system. The instrumentation was pure American R&B, but the vocals, well, the vocals were something else entirely. It was hard to explain but the overall effect sent chills up and down my spine. Other people have since told me that they had the exact same reaction the first time they heard these enigmatic sounds. In 1985 I started doing "African Beat," a weekly program for WYMS-FM in Milwaukee, and through the show started to come in contact with Ethiopians living in town. Most of them described themselves as political exiles, Ethiopia at that time being ruled by a military dictatorship, the Derg, that called itself "Scientific Socialist." Of course I nagged them mercilessly for music from their homeland, and they were happy to comply. They loaned me about ten cassettes, and my love affair with Ethiopian music was rekindled. The music industry in Ethiopia in the 1980s was in a state of meltdown. Shortly after the fall of Haile Selassie in 1974, production of vinyl recordings ended, and the political turmoil of the time, with the Derg and its rivals engaged in a bloody civil war, meant a more or less permanent curfew and the resulting disappearance of nightlife. But Ethiopian music persevered. There being no record pressing plants or professional cassette-duplicating facilities, the various music shops - Electra, Ambassel, Kaifa and the like - took matters into their own hands. Musicians were contracted with, master tapes were recorded, cassettes were dubbed one-by-one on cheap boomboxes, and distributed throughout Ethiopia by the hundreds of thousands. Francis Falceto's Ethiopiques series on Buda is justly renowned for bringing to light the classic Ethiopian recordings of the Imperial Era. 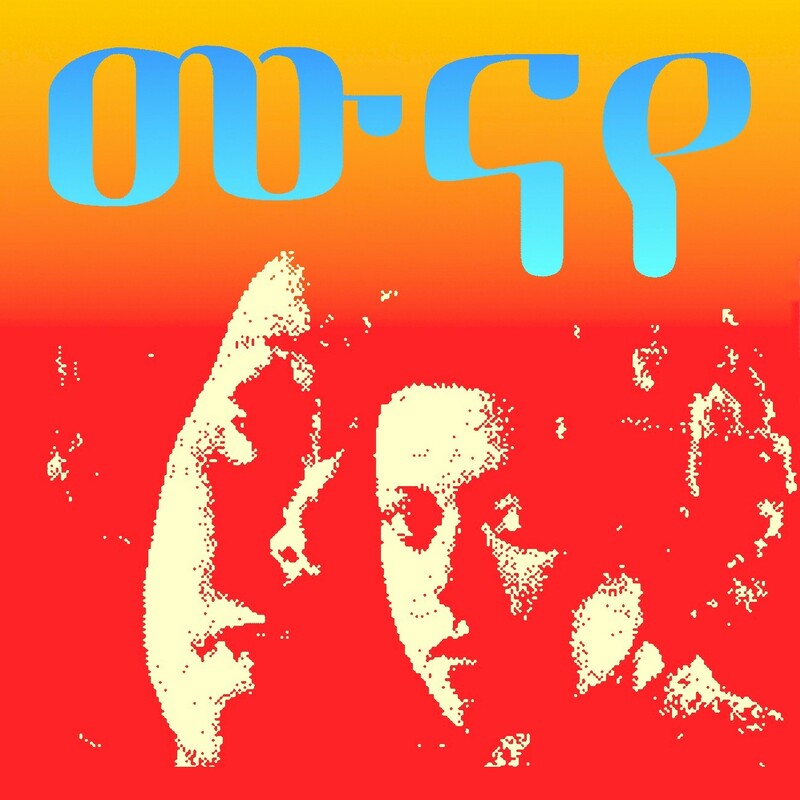 In the liner notes of Ethiopiques 20: Either/Orchestra (Buda 860121, 2005), Falceto decries the current state of Ethiopian music for its lack of adventurousness and reliance on junky synthesizers, as contrasted with the artistic expermentation and professionalism of "The Golden Years." I certainly don't disagree with Falceto's assessment of the current state of the Ethiopian music scene, but I just can't buy his implicit dismissal of the Derg years as a musical desert. Keep in mind that it was during this era that the renowned singer Aster Aweke began her career, as did Efrem Tamirru, Hamelmal Abate, Martha Ashegare and a host of other artists. Moreover, the great singers of the classic period - Tilahun Gessesse, Mahmoud Ahmed and the like - did some of their most memorable work under the Derg (Ere Mela Mela, anyone?). 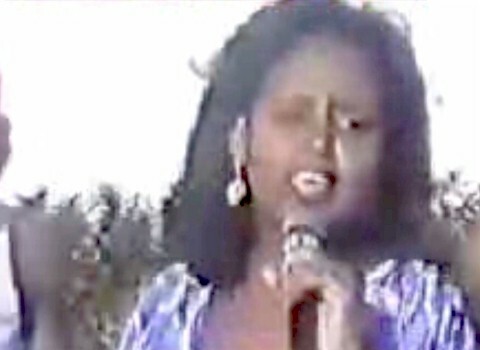 One of the singers who got her start in Addis Ababa in the early Eighties is Kuku Sebsebe, whose cassette Munaye (Electra Music Shop, ca. 1985) ranks as one of the greatest Ethiopian recordings ever. I would rate it, actually, one of my ten favorite African recordings of all time. 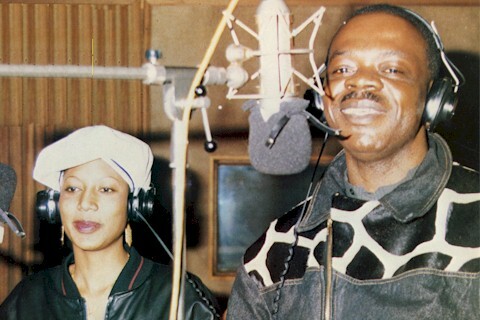 Like many Ethiopians, Kuku lived in exile in Washington, DC, and recorded several CDs there. She is said to have returned permanently to Ethiopia in 2003. My fervent hope is that someday Munaye will be reissued in the format that it deserves, remastered from the original master tapes. Until that day I present it to you now, digitized from one of those homemade Ethiopian cassettes. 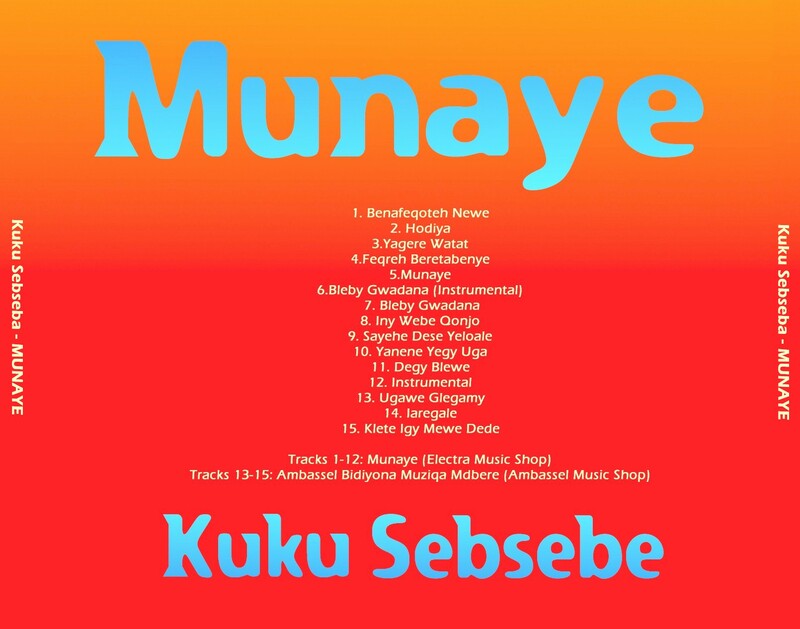 I have also included three tunes by Kuku Sebsebe from the compilation tape Ambassel Bidiyona Muziqa Mdbere (Ambassel Music Shop, ca. 1985). In case you want to make your own CD, I've provided front and back covers. Not knowing even a shred of Amharic, I transliterated the song titles from the cassette track listing (right), using a table of the Ge'ez Syllabary. The results don't look quite "right," so anybody with knowledge of the language is warmly invited to correct me. I've said this before, but I'll repeat it: The coolest blog out there is Frank Soulpusher's Voodoo Funk. Frank travels throughout West Africa digging up old obscure soul and funk records by local musicians. He posts mixes of his discoveries that usually have me dropping my jaw in wonderment. . . Whaaaa? Of course, West Africa wasn't the only place that was obsessed with American-style R&B. Every African country had its own practitioners, some of them quite original. Ethiopia in particular created its own fusion of soul and traditional music that has drawn international acclaim. Twenty years ago I thought that Somalia was immune to the funk virus. There was one recording of Somali music on the market, Original Music's Jaamila (OMA 107, 1987), recordings of oud, flute and voice that were interesting but not especially funky. Somali friends loaned me static-filled cassettes of artists like Sahra Axmed and others that were in a similar vein. 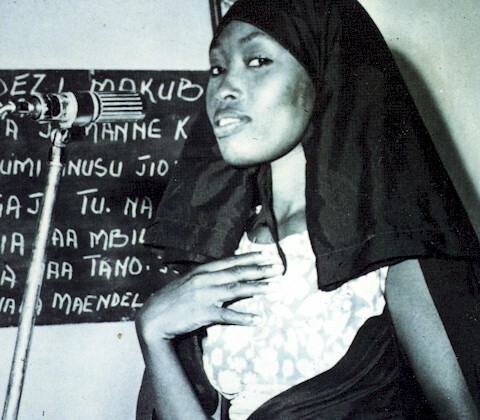 There was a wildly-popular genre of home-made cassettes of recitations of Somali poetry. I began to wonder if there even was such a thing as modern Somali music at all. Then my friend Ali handed me a cassette, an over-the-counter Sanyo stamped "Iftin." No case, no track listing; Ali couldn't even tell me anything about the group Iftin. He thought they may have been from northern Somalia, possibly from Djibouti or the Somali-speaking part of Ethiopia. But they definitely made modern Somali music. Iftin ("Sunshine") was a big hit in Somalia in the 70's and 80's. Initially, they made theaters & schools "unsafe" with their brand of (slow) dance music and later discotheques & marriage ceremonies were conquered. It's one of the bands initiated by the Ministry of Education and Culture and they were based in Mogadishu, the Somali capital, where most of the band members originally came from. The lead singer with the "Woweeee!" hair is a Somali of Yemenite origins (does his Yemeni ancestry shed a little light on your remark?). He's called Shimaali and some of his solo efforts are on YouTube. Before I gave the tape back to Ali I dubbed it onto a 10-inch tape reel at WYMS-FM, where I used to do my radio program "African Beat." When I stopped doing the show in 2001 I had no way to listen to it, until now. I recently rented a reel-to-reel tape deck and have digitized it, so now I can give it to you! Keep in mind that this cassette was produced in the do-it-yourself spirit that is common throughout Africa. It was no doubt duplicated on a boom box, so the sound quality isn't terrific. I think you'll agree, though, that the quality of the music outweighs this technical drawback. I think I've recognized all the tracks but keep in mind that many (old) Somali songs don't have an original title and the name of many others is unknown to the public. No-case-and-no-tracklisting is/was the daily pot-luck you just must take or leave in Somalia. So, each song gets several popular names. So, here are the song titles in Somali & English, thanks to Sanaag. "Haka Yeelin Nacabkeenna" means "Don't Heed Our Enemies" (or those who are against our love). "Weynoow": "My Great (love)" aka "Ciil Kaambi": "Sorrow and Bitterness (due to frustrated love)"
"Jacayl Iima Roona" means "Love is Not Right for Me (now)"
"Hir Aanii Dhowyen ma Halabsado" means "Longing to Bridge the Big Distance." This song is also known as "Ruuney" - "Oh, Ruun (a Somali female name)." "Caashaqa Maxay Baray?" "Why Get Acquainted With Love?" or in other words, "I'm too young to take the burden of love on my shoulders." The same song and singer, Sahra Dawo, are featured with another band, "Durdur," on this YouTube video. Iftin - Caashaqa Maxay Baray? "Baddaa Doon Baa Maraysoo": "A (fragile) boat is rocking on that ocean"
Nowadays, there's a thriving modern Somali music scene, centered in Toronto (conditions in Mogadishu these days obviously not being too conducive to recording and distribution). For a sample of what young Somali musicians are up to these days, go here and here. Sanaag also recommends: Banadir City, Somalioz.com and The Real Africa. Here are two videos of Iftin performing in the Eighties. Check out the hair on the lead singer in the second one. Woweeee! When Nigerian highlife king Stephen Osita Osadebe passed on May 11 of this year, it could reasonably be said that an era died with him. 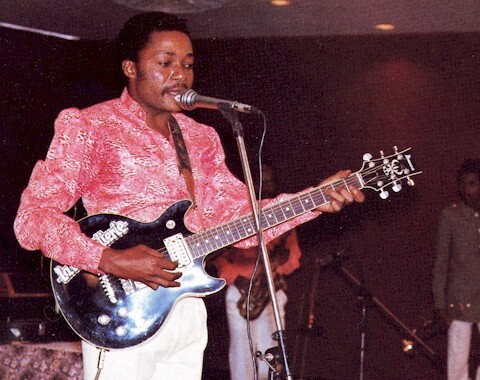 Apart from Victor Olaiya, Osadebe was the last important exponent of "dance band" highlife in Nigeria, and the only significant Igbo artist working in that genre. His contributions to Nigerian music were incalculable; not only did he carry the torch of classic highlife to the very end, his compositions became evergreen classics beloved by millions: "Sisi Kwanangida," "One Pound No Balance," "Nri Sports di Uso," "Osondi Owendi," "People's Club Special" and many, many more. Over the course of his fifty years in music, "The Doctor of Hypertension," or Osili, as he was fondly known, put out at least sixty LPs and numerous 45s. Some of the best of these recordings were included in 2001's compilation disc, Sound Time (IndigeDisc 495 001), and many others have been reissued on CD in Nigeria, although these are very difficult to obtain (try Sterns). Some years ago I compiled a discography of Osadebe, which you can find here. One of my chief aims in establishing Likembe was to promote and explain the Igbo music that I love so much, and toward this end I hope to post as many recordings by the great Doctor as I possibly can. We're kicking things off with selections from four LPs issued in the early 1970s: Uju Special (Philips 6361 015, 1972), Egbunam (Philips 6361 024, 1972), Osadebe '75 (Polydor POLP 001, 1974) and Osadebe '76 (Polydor POLP 004, 1975). Of course, Osadebe had been making great music since the 1950s, when he got his start with Zeal Onyia's band, and released his first single, "Adamma," in 1958. It was following the defeat of the Biafran war of independence (1967-1970), though, that he really began to make his mark on the national and international scene. These four albums, massive hits all, played a major part in cementing his reputation. 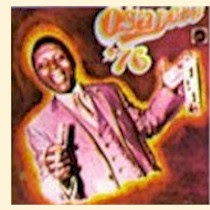 "Uju Special," the opening track from Osadebe's LP of the same name (left), concerns Osadebe's sister Ononuju. Uju's husband and in-laws treated her poorly because she couldn't conceive. Osadebe and his family begged her to return home - "Ononuju nwannem ngi kam na kpo," which she did. She remarried, and gave birth to many children. The closing, "Okwu fa kwulu ya dili fa na Uju difu o," proclaims "in spite of everything they said Uju is still here!" The derisive song "Sisi Kwanangida," also from Uju Special, concerns young Igbo women who sought the company of the Federal troops who occupied Eastern Nigeria following the end of the Biafra war. "Kwanangida" is actually a Hausa term and was applied generally to these soldiers whatever their ethnicity. Osadebe remonstrates with such women for pursuing these men and their money, and predicts that they will be disappointed in the end: "Sorry-O. Kwanangida no go marry you! Baby Kwanangida now you go tire!" "Baby One Pound No Balance," also from Uju Special, similarly addresses the subject of what might be called "wayward women," in this case a prostitute who states her non-negotiable price: "One Pound, no balance!" In the early '70s the Matador Hotel in Onitsha was the destination for nouveau riche gentlemen to eat, drink and show off their girlfriends. I presume Osili was given a bundle of cash by the owners to record "Matador Special," from Egbunam (right), and it was a big hit for him. He asks, "Onye ma mbosi anwu?" "who knows the day they will die?" In other words, have fun while you can! He further asks, "What does Osili want? Number one, that he will eat well. Number two, that he will have the most enjoyment. Number three, that he will wear the most beautiful attire. Number four, that he will have a beautiful lady by his side while he enjoys himself!" Of course, all of these things may be found at the Matador! "Ezi Ogolidi" ("Husband's Sweetheart"), also from Egbunam, is a love song. Osadebe pleads, "Onyeoma (beautiful one), you've done it to me again, but you've also done it to yourself ('aye aye ni ime onweyi'). Who is Osili going to go to now? Osili loves you. Must I kill myself for you to know? A woman can be beautiful on the outside but have a heart like a stone. A woman can be ugly but have a heart like a mirror. It is best to have the one with the beautiful heart." 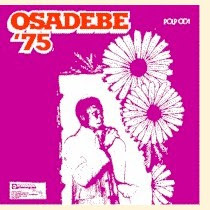 Side 1 of Osadebe '75 (left) is a three-part medley that showcases the virtuosity of Osadebe's backup group, the Nigeria Sound Makers (unfortunately, as on all of Osadebe's albums, these musicians are uncredited.) "Onu Kwube" basically means "let people talk" and is more or less a collection of proverbs: "A child cannot go before his father. After a race, you will see who ran faster. Let no one wish each other death. Let mine be mine ('Nkemdilim')." The title of part two of this sequence, "Ejim Ofor Aga," means "I keep my hand straight in everything I do." "What does the eye see that it cries blood? Let nobody kill each other." 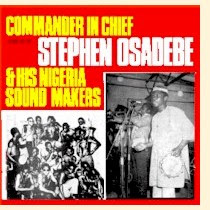 Another killer double-header, from Osadebe '76 (right), closes out our survey of Osita Osadebe's early Seventies recordings. "Ome Ife Jide Ofo," a common Igbo proverb, means "whatever you are doing, make sure you are doing right." In this song Osadebe addresses intra-family disputes: "Anger between brothers and sisters doesn't go to the bone. A sister and brother will not eat together and not trust each other." The title of part two, "Anya Ukwu Dinjo," literally means "big eyes are bad," or in other words, "greediness is bad." The song states that anyone who is used to greediness is in big trouble, that greediness is unholy, an abomination, etc. etc. Once again, many thanks to my wife Priscilla for patiently translating these lyrics for me. We tried to render them in vernacular English as much as we could, but because of differences in dialect, etc. there may be some discrepancies in interpretation. Feedback, as ever, is appreciated. Contrary to the impression you might get from the title of this post, this one is not about Nigerian music (but I promise I'll be putting up some more of that soon!). Rather this is dedicated to an LP issued in Guinea prior to the legendary Second World Black and African Festival of Arts and Culture, or FESTAC '77, which was held in Lagos in 1977. 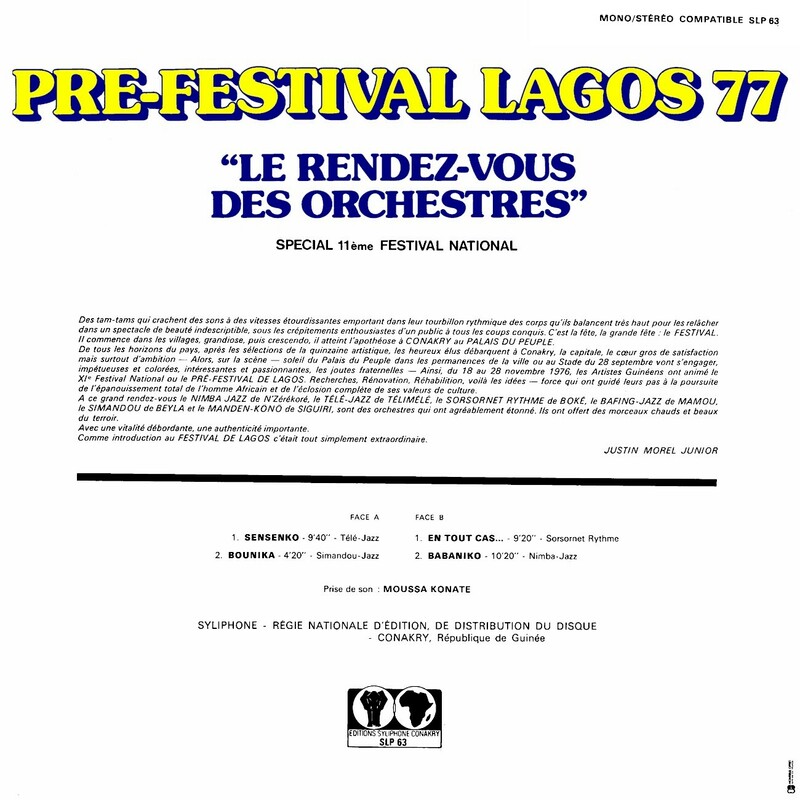 Drawing on my very rudimentary French-language skills, I take it that the groups featured on this recording, from various Guinean locales, were in competition to be their country's representative at the Lagos festival. The album (Syliphone SLP63), has never been reissued to my knowledge, nor have any of these wonderful recordings been featured on any of the recent compilations of classic Guinean music. Sonsornet Rythme de Boké - En Tout Cas. . . In my last post I described the last twenty years as the "Dark Ages" of Congolese music. I'll admit that this isn't my main area of interest or expertise, and the stuff I have heard is mostly from Paris-based Congo musicians, but I stand by my judgment for the most part. What has the Paris-Congo axis produced in the last two decades? Mainly endless posturing and rehashing of past glories (cf. Soukous Vibration!). Please prove me wrong! I do concede that there have been a few bright spots in Congo music lately. Of course, I loved the two Congotronics releases on CramWorld. Another artist who redeems Congo music for me is the great Bozi Boziana. Bozi got his start in Zaïko Langa-Langa, the first and most influential of the "New Wave" bands that burst onto the Kinshasa scene toward the end of the '60s. From there he journeyed through a veritable "Who's Who" of the Congo music world: Isifi Lokolé, Yoka Lokolé, Langa-Langa Stars and the Choc Stars, finally establishing his own Anti-Choc about twenty years ago. Anti-Choc's first releases were decent enough party music but I think Boziana realized something was missing because around '88 he started teaming up with a series of spunky female vocalists - notably Joly (or Jolie) Detta (with Bozi Boziana, above) and Déesse (or Deyess) Mukangi, and the results were nothing less than sublime. The best of his recordings with these two stellar singers were gathered in two compilations issued around 1997 by Ngoyarto, now sadly out of print. It makes you wonder why more African bands don't make use of female vocalists. Of course, Tabu Ley and Afrisa International had M'Bilia Bel (before their rancorous falling-out), and Franco and TPOK Jazz made use of Joly Detta herself on one memorable recording, but this great cultural resource has generally been underutilized. Déesse has made a couple of solo recordings (Little Goddess on Sterns [STCD 1040, 1992] was a standout), while providing backup vocals on a number of recordings. Joly Detta, sadly, has kept under the radar, but you can view her in a wonderful recording with TPOK Jazz here. You may have noticed that I have a soft spot for female singers with unique, over-the-top vocal styles. Kiné Lam is one. Daro Mbaye is another. I fell in love with Vonga Aye and her baby-doll voice the first time I heard "Bolingo Mobesu," her contribution to 1982's groundbreaking compilation Sound d'Afrique II (Mango MLPS 9754). I know she put out several LPs, and over the years I've searched high and low for more music by this idiosyncratic chanteuse, but all I have been able to come up with is 1984's Pare-Chocs (Veve International EVVI 25). But what an album it is! People speak of "the Golden Age" of Congo music, but in reality there are several "Golden Ages." For some it is the early 1960s, the era of Grand Kallé, African Fiesta and "Afrika Mokili Mobimba." Others swear by the late Sixties and early Seventies, when Authenticité was the rage, Congo (Kinshasa) was rechristened Zaïre, and harder, more indigenous sounds displaced the old Latin paradigm. 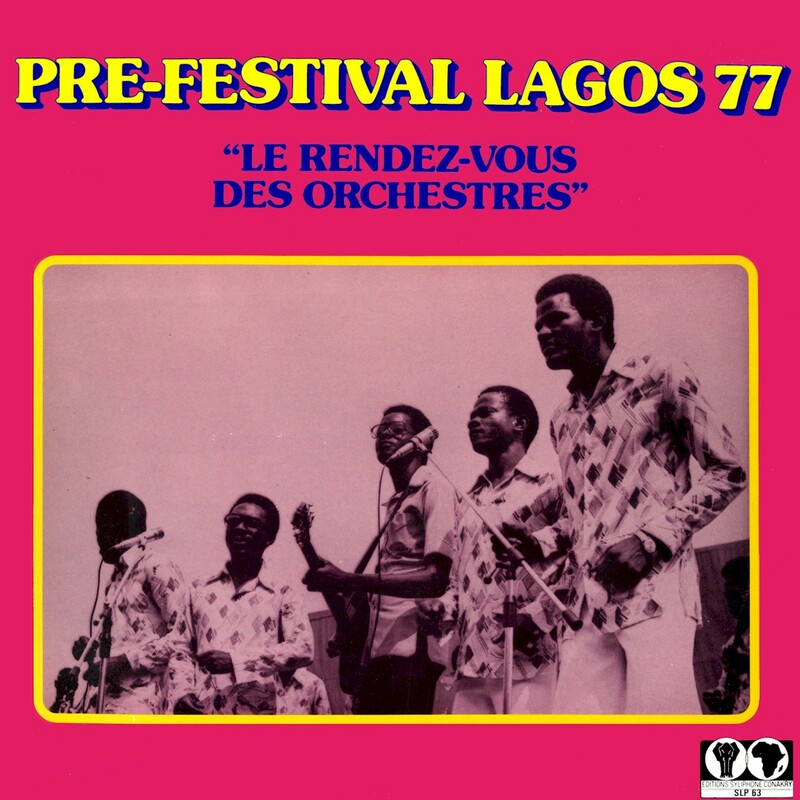 To me, the real Golden Age of Congo music has always been the late Seventies and early Eighties, when the great Orchestres - TPOK Jazz, Bantous de la Capitale, Afrisa and Veve among others held sway on both side of the Zaïre River. Pare-Chocs is well within this tradition, although scandalously none of the backing musicians are given credit. I suppose they are drawn from the ranks of Orchestre Veve or others in that milieu (Pare-Chocs sounds an awful lot like others on the Veve label). At any rate this is obviously a band that is used to working together. Sadly, the mid-Eighties marked the end of the big band era in both Zaïre (Congo-Kinshasa) and Congo-Brazzaville. As political chaos mounted and the economy went south, the musicians went north, to Paris and points beyond. And while there have been some bright spots, as far as I'm concerned, the last twenty years have been the Dark Ages of Congo music. 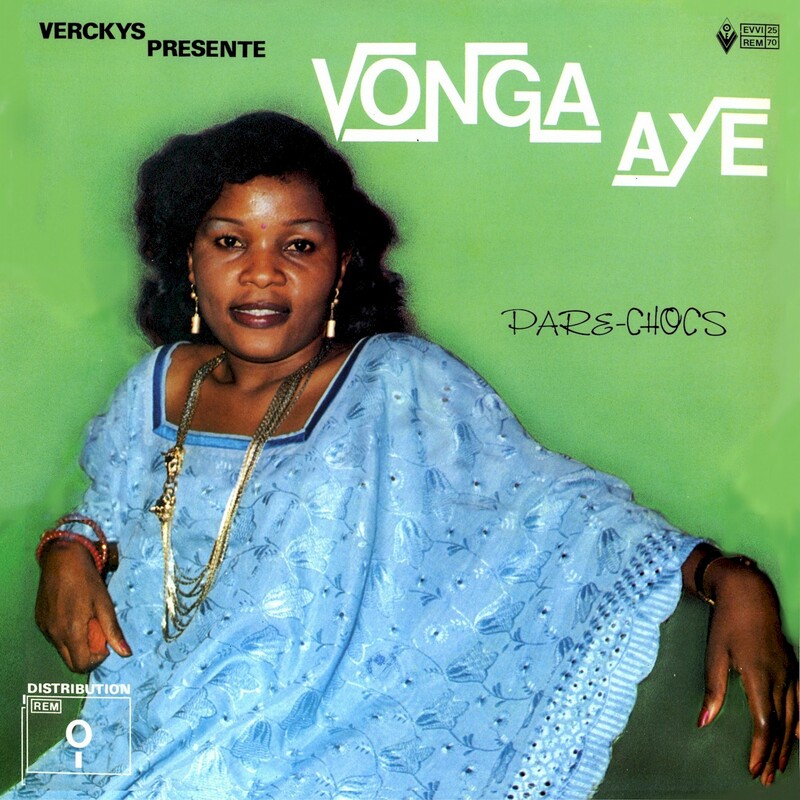 Given the title of this blog, it's about time I posted some Congolese music, so here it is in its entirety: Vonga Aye's Pare-Chocs, and for good measure I've thrown in "Bolingo Mobesu" as well! In 1999 I moved with my wife and young son to Bougouni, a town on the edge of Mali’s culturally rich Wassulu region. I’d listened to and enjoyed such Malian musical imports as Oumou Sangare, Ali Farka Toure, Salif Keita, Toumani Diabite and Habib Koite while still living in the States and was excited to get to Mali to learn more about these and other artists. I learned very quickly that there was a huge gulf between what many people out in Bougouni listened to and what was being exported to the West; many local Malians made dismissive sounds with their mouths when I mentioned the above musicians. Many of the cassette vendors I got to know stared blankly when I asked about certain artists. I began to suspect that much of the music I’d heard back in the States was almost created for export rather than for local consumption, and whether or not this was objectively true did not matter. From my perspective it was true. Out en brousse, in the bush, on Radio Banimotie and blaring forth from battery-driven boomboxes and handheld radios carried by any number of people wandering through Southern Mali, there existed an entirely different world of music and sound that I found infinitely more interesting and exciting than the slick pop music made in French, British or Belgian studios. Much of this music was home-grown music performed locally for little else beyond an immediate audience’s enjoyment; it was traditional or folk music but in the hands of the endlessly inventive and dynamic local musicians it exemplified the best qualities of the do-it-yourself attitude that I’d grown up with back home. The name Yaala Yaala was taken directly from what many a Bougounian musician would answer when asked “Ça va?” (how’s it going? ); “Yaala yaala,” they’d answer. Just wandering. Yaala Yaala Records’ goal is to release this music, in addition to similar music from parts of the world, particularly Mali and West Africa, that you might hear if you were wandering yourself among the cassette stalls in Bougouni, Bamako, Kolondieba, Sikasso, Segou, Fez, Marrakesh, Cairo, Dakar. We’re releasing this music for no other reason than we like it! An attitude with which I wholeheartedly concur! This description of the music scene in Mali pretty much squares with my experiences in Nigeria in 1994 and '95: It wasn't that the average person didn't listen to Sunny Adé or Fela (who was still alive and performing then, a couple of years before he died; I could just kick myself for not catching an advertised concert in Lagos when I was there!) or the other official World Music™ icons. They respected them, but those guys were pretty much old hat. The common folk had a whole 'nother universe of sounds they were tuned into, which blared out of market stalls and taxicabs across the country: Igbo gospel accompanied by cheapo synthesizers and drum machines, wailing, warbling Islamic vocals, soul-thumping perscussion, Hausa praise-singing and hysterical guitar highlife. . . 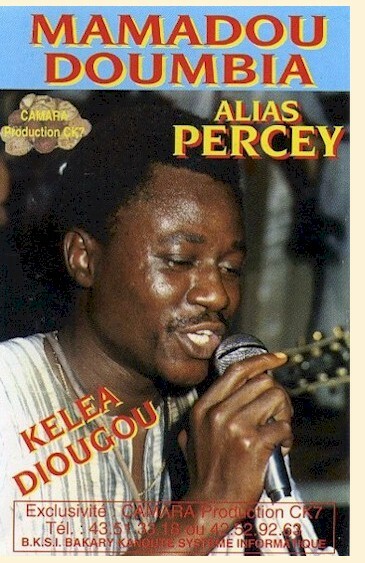 I think I've got things sorted out now, so let's proceed: Our first Mamadou Doumbia, "alias Percey," was lead vocalist for Super Biton de Segou, one of Mali's foremost orchestras of the 1980s. When Super Biton fell apart, he struck out on his own, making at least one recording, 1992's outstanding Kelea Diougou (Camara Production 047), from which we take two tracks, "Momdole" and "Secheresse (Dabakala)." "Momdole" is unusual in that it is a melody in the Burkina Faso style. Our next Mamadou Doumbia has apparently been around since the sixties, but that's all I can tell you about him. He gives us two highlife-style songs, "Mariama" and "Olonan," from his 1993 release Mariama (no label YR 07). As an Ivoirian, this Mamadou technically doesn't belong in a post entitled "Mali Cassette Grab-Bag," but who wants to split hairs? And as for the third Mamadou Doumbia, I would love to put up some music by him, but unfortunately don't have any. Finally, a track by Djelimadi Sissoko. There is a kora player by that name, who has made some recordings with the veteran maestro Sidiki Diabate, but this song, "Sory Kadia," from the compilation Sabougnouna (no label 7488) is so radically different in style that I'm wondering if this isn't another case of one name, two musicians. 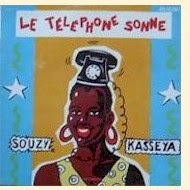 Anyway, "Sory Kadia" is ample proof that the wave of soukous that swept out of the Congo in the Sixties, Seventies and Eighties did not bypass Mali! As I mentioned earlier, "Mali Cassette Grab Bag" came about because I haven't had time to digitize a lot of new material, so I've been posting stuff that I've had on my hard-drive for some time. 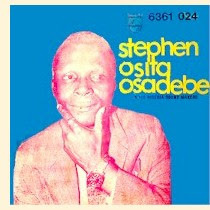 I've been working on digitizing some early '70s LPs by the late, great Stephen Osita Osadebe, and hope to have them up, with the requisite commentary, in the next week. We continue our "Mali Cassette Grab-Bag," a series of clips drawn more or less at random from the recesses of my hard-drive. Next up: five wonderful female singers, some of whom are rather well known, others about whom I can tell you very little. I included a track by Djeneba Seck on African Serenades Vol. 47b, which was featured on Matsuli Music a few months back (and I'm planning to re-post that two-part compilation here some time in the future; watch this space!). Listen here to "Kankeletigui," the title track of her debut release (EMI Côte d'Ivoire AM 92003, 1992) and "Malidenw" from her sophomore effort Konkankokônôni (Camara Production CK7 263, 1995). To learn more about this lovely vocalist, go here. About Naïny Diabate and Djamy Kouyate I know absolutely nothing. Naïny contributes "Farafina Mousso" from her cassette of the same name (Camara Production CK7 030) while Djamy Kouyate gives us "Astou Damba" from her release Tamba (Camara Production CK7 032). Click on the pictures below to get a better look at the cover art. Tata Bambo Kouyate made a bit of a splash in the late '80s when two LPs by her, Djeli Mousso (Syllart SYL 8360, 1988) and Jatigui (Globestyle ORB 042, 1989) were released in the UK. She comes from a family of jaliya, or praise singers, and first achieved fame at the 1969 Pan-African Music Festival in Algiers. The tune Tata gives us here, "Djeneba Diallo" from Oury Soucko (Samassa SAM 077592-4, 1992) amply demonstrates why she is considered a jali without peer in Mali. Yayi Kanoute plays a prominent role in Chapter 7 of Banning Eyre's book In Griot Time (Temple University Press, 2000) and his collection of field recordings In Griot Time (Sterns STCD 1089, 2000) features an outstanding tune by her. "Seremene" is from her first release, Djugu Magni (Samassa KBK 912, 1990). I forgot to mention this in my last post, but I will now: If you like the music you've heard here, there's plenty more like it at Awesome Tapes From Africa. Coming up next: Mamadou Doumbia, Abdoulaye Diabate and more! Since I started this blog I've been trying to post at least twice a week. Lately I've been so caught up in other things (namely "real life") that I just realized that it's been a week since my last submission. While casting about for something to write about I remembered that about a year ago I digitized a whole bunch of Malian cassettes that were lying in the bottom of a cardboard box in my office. So . . . what could be easier than to just slap them up here for your perusal? I was originally going to post a big number of clips today, but I've decided to space them out over several days. 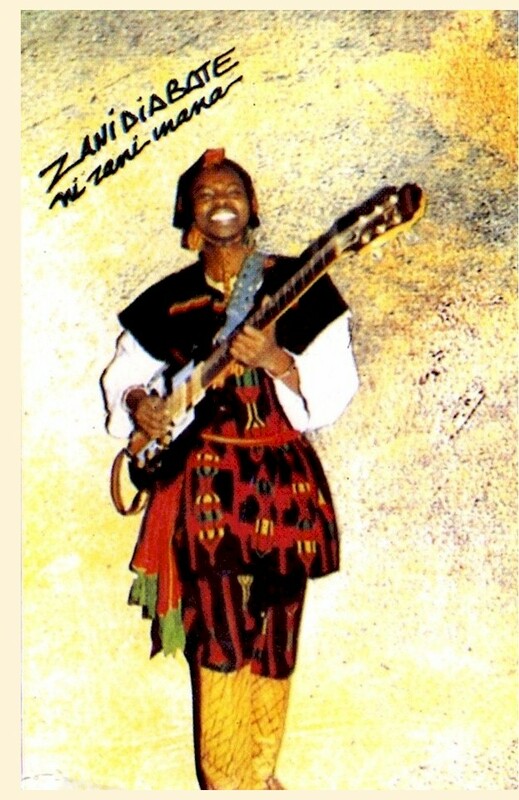 Today, Zani Diabate's 1991 cassette release Ni Zani Mana.
. . . What jumps out of the speakers isn't the Malian Jimi of the jacket copy but a groove harsher than Zaire's and more ferocious than Senegal's. There's lots of cheesy keyb[oard] in the mix; full-repeat call-and-response and mullah harangues stir up the hectic mood. It's on top of all this that you get the guitar, which sings and declaims and shouts out loud instead of just chiming or chattering. I find the hottest soukous relaxing. I put this on to wake up. Diabate was born in 1947 and served his apprenticeship with the National Ballet of Mali before starting his group Super Djata. Graeme Counsel's Discography of Malian Vinyl Recordings lists nine recordings by the group (Ni Zani Mana makes at least ten) but the only ones I've actually heard are Ni Zani Mana (Oubien Productions OU009) and the aforementioned Mango release. I'd place Ni Zani Mana more toward the "mellow" end of the scale, but it's every bit as exciting as Super Djata in its own way. Diabate's obviously been listening not only to his Hendrix but to Wes Montgomery and who knows what else, but he's a true original. It's unfortunate that he isn't better known. Enjoy! Coming up soon: Djeneba Seck, Mamadou Doumbia, and more! Note: This post was updated on September 20, 2008 to incorporate a translation of the song "Marashi ya Pemba" by reader/listener Xodi. Judging from the feedback I've gotten on the last couple of Tanzanian posts it seems that people just can't get enough of the classic Muziki wa Dansi sound - massed horns, a subtle yet propulsive beat, vocals to make you cry - and who can blame them? 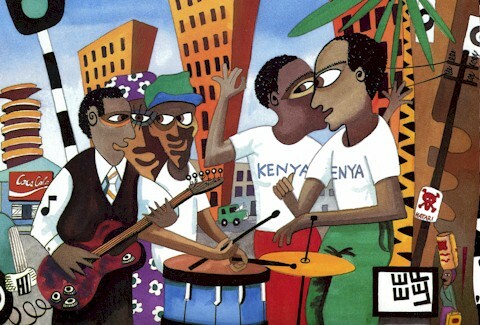 I present to you, then, four of the bands that made it happen in Dar es Salaam back in the '80s: Mlimani Park, Vijana Jazz, Maquis Original, and two versions of the International Orchestra Safari Sound (Duku Duku and Ndekule), from the LP Tanzania Hit Parade '88 (Ahadi AHDLP 6005, 1988). Like those Mlimani Park tracks I posted a couple of weeks ago, this is a Doug Paterson production, and Doug has a great background article on the artists by Werner Graebner over on his site. Enjoy! Update: You know what would be really nice? If someone who knows Swahili could fill us in on what the lyrics are all about. C'mon! I know you're out there!